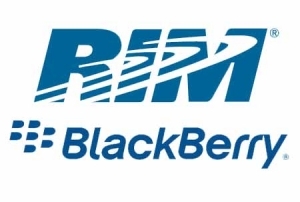 Saudi Arabia shuts down BlackBerry service then restores it | BlackBerry Blast! The UAE and Saudi Arabia have been complaining about the BlackBerry's encryption being a security risk in recent weeks and it looks like Saudia Arabia decided to shut down the service. Saudia Arabia shut down the BlackBerry Messenger Service today, but the service has been restored. "The BlackBerry has become indispensable for the business community in Saudi Arabia and the region," said John Sfakianakis, chief economist at Banque Saudi Fransi in Riyadh, who said all of his three BlackBerry handsets were working after some interruption earlier today. He said blocking services would be "a disruption to the business flow and productivity," adding that all functions were restored by about 1 p.m. local time. These countries who claim the BlackBerry is a security risk will just have to get a clue. The rest of the world does not want to be spied on and shutting down a service like this will not only affect their citizens, but visitors to their countries as well. Unless they get on board with technology they will be left behind in all aspects of life.